The Protector of Your Investment! 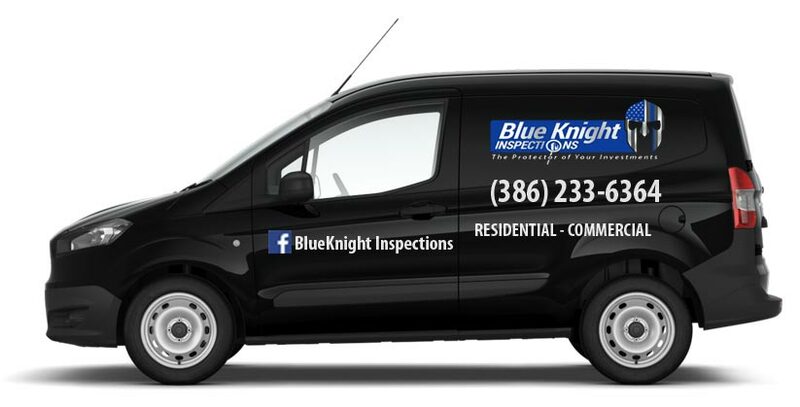 Welcome to Blue Knight Inspections, owned and operated by Juan Cruz. We strive to offer the best home inspection services and customer satisfaction in Florida. We have a 5-star rating on Facebook, where you can check out what our happy customers are saying about working with us. We take pride every day in our ability to help homebuyers, sellers, and owners, and we can’t wait to work with you as you learn more about your dream home. Call us today to schedule your inspection! We offer flexible scheduling with evening and weekend appointments and accept calls anytime before 10 PM. For most people, a home is the biggest purchase and investment they’ll make in their lives. Such an important decision should be made with the help and advice of professionals in the industry, and that’s where Blue Knight Inspections steps in. We use our experience with both home inspection and construction to find every detail about the home you’re buying, meaning that you’ll know exactly what to expect as far as necessary repairs and how to maintain your home in the years ahead. Join us for the inspection to learn about the home hands-on, and don’t hesitate to ask any questions you may have. We are here to assist you in any way we can. 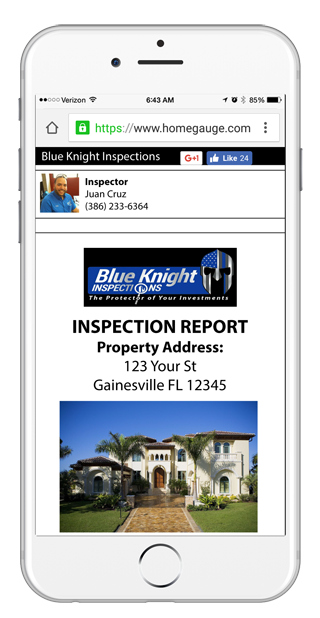 In no more than 24 hours after the inspection is completed, you will be able to access an electronic copy of your home inspection report. We generate our reports using HomeGauge Software and include valuable information about the condition of the home as well as resources that can be used in the home’s future. In an effort to best serve you, we include an InterNACHI Life Expectancy Chart for the items within the home as well as a book of maintenance tips in the back of the report. Additionally, our reports feature an interactive Create Request List™ (CRL™) tool that allows you to make a project list of desired home repairs directly from the report and share it easily with your real estate agent.